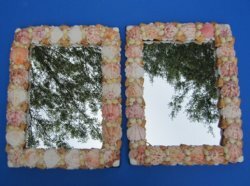 These 11 inch by 14 inch rectangle seashell mirrors wholesale for beach themed weddings are made with natural pecten nobilis seashells in tones of pinks, peach and tans and accented with small tan cone shells, and beige colored nerits and nassarius seashells. 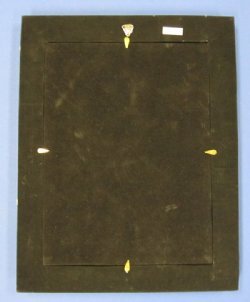 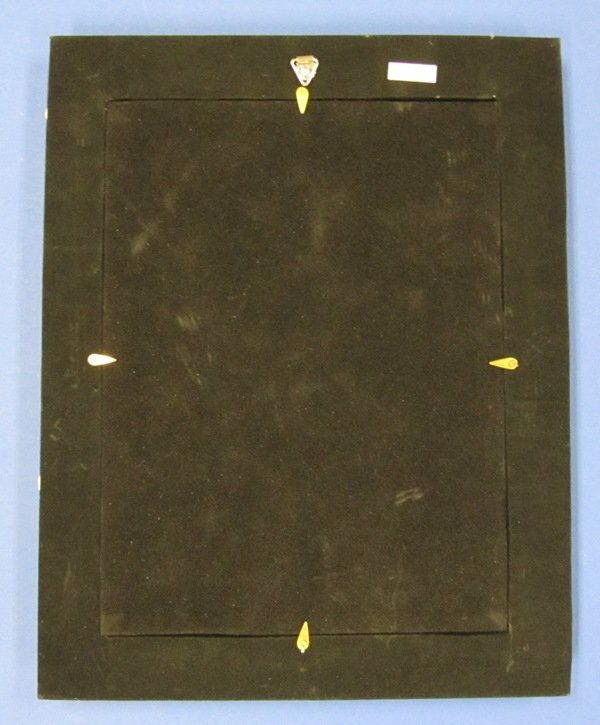 These beautiful 11" x 14" seashell mirrors in a rectangle shape have black felt on the backs and a hanger for easy display. Seashell mirrors are the perfect accent to a bedroom, bathroom or guest room and are used in coastal home decorating.